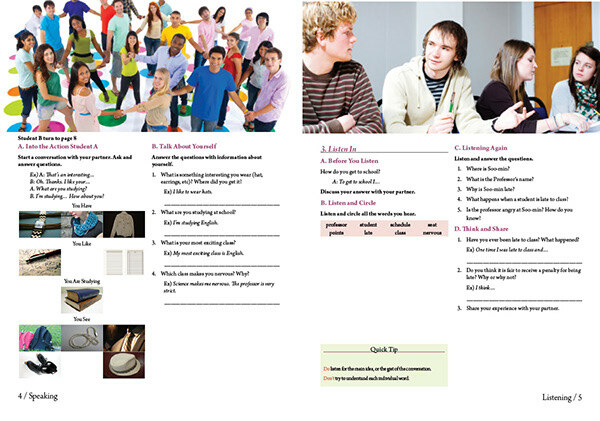 "Student Success" is a workbook intended for the EFL market. 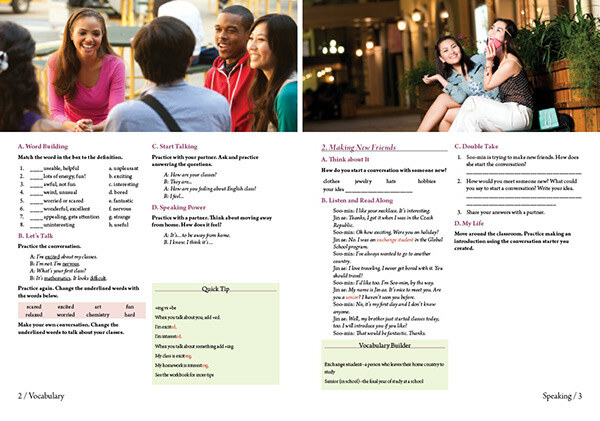 Its unique features include a narrative story that follows characters through the workbook; students learn with the characters as the workbook progresses. 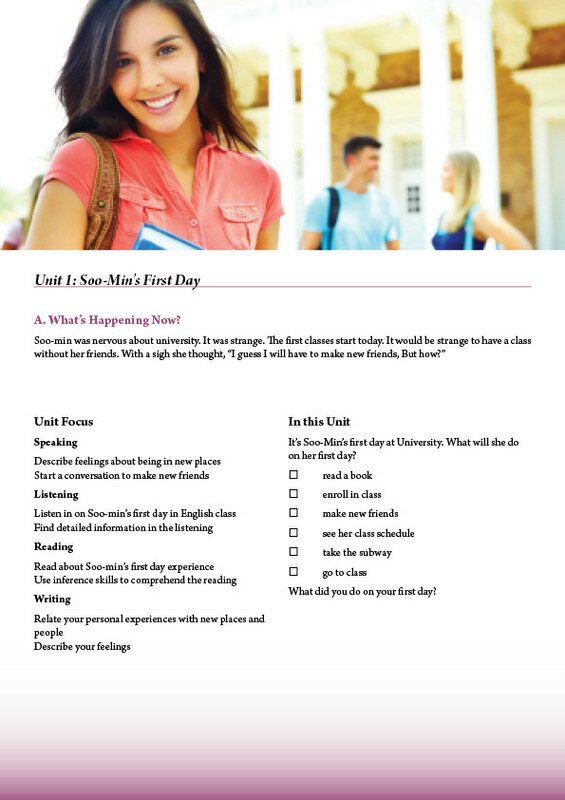 In this sample design, I experimented with a two-column format, a single font family for all text, and a monochromatic color scheme. Display and text font is Arno Pro.